Dribbling, floaters, in and out. See YouTube video - Pro Training workout #11, also Dribbling - Pro Training workout #10. 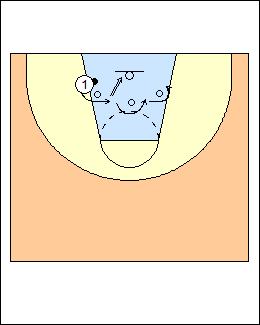 - one front, one back (alternating side v-dribbles). See Dribbling - Tony Watson series (2-ball lane slides). 6 makes on each side. Start on the right side, toss the ball off the backboard with the left hand, tip it off the backboard with the right hand, left hand, then tip it in with the right hand, repeat for 6 makes, then on the left side (tossing with the right hand). 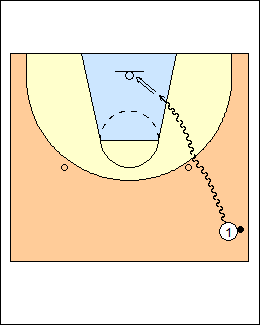 See Rebounding - Tip drill . 10 makes each hand. 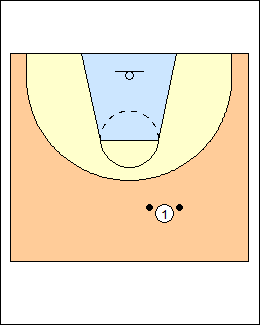 Three cones, start on the left, hop over the first cone (land on two feet), shoot a right-hand floater, continue with the next two cones, repeat for 10 makes. Repeat rotating clockwise (right to left) with left-hand floaters. - jab step right, go left (left pivot foot). 5 makes each, both sides. 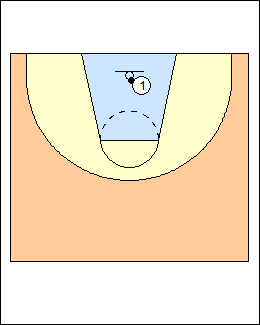 Start at the halfcourt sideline, ball in the outside hand, attack a cone, make an inside-out move, finish with a right-hand floater off two feet, repeat for 5 makes. 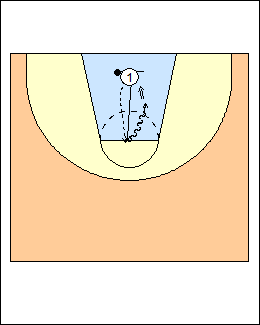 Progression - inside-out crossover (left-hand floater). 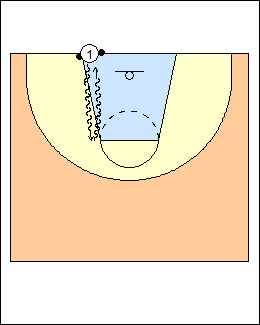 See Shooting - Guard workout (Point-guard finishing).